Japan is known to have many gods and goddesses. These native, divine personas are famously called as “Kami-sama” in Japan. “Kami” means god while the suffix “-sama” refers to someone with high reverence and honor. Kami are gods that are either spirits or deities of the beliefs and religious traditions found in Japan’s culture and history. They come from animal spirits, spirits of deceased loved ones or truly gods written in Japanese mythology. These gods can bring blessing or curse to a person even if they vary from weak to very powerful ones. They are said to be 8 million in numbers; which represents infinity. Goddess of Sun & Universe and also called as the “Great Spirit Who Shines in the Heavens”. She was born when Izanagi washed his left eye from the dirt of the underworld. She is considered as the primary and most significant god of Shinto. The Imperial Household of Japan or the Japanese Emperor’s family is said to be her direct descendant. Goddess of Everything that Flows. She is the goddess of love, water, music, words, eloquence, and knowledge. She is said to have imprisoned a five-headed dragon to protect an island, and later married the dragon after it changed its ways. She is then approached by couples for her blessing of love. God of War & Archery and also called as the “God of Eight Banners” which refers to the signal of the birth of the divine Emperor of Japan. He protects Japan and is highly praised by samurais. He was also said to be a god of agriculture for farmers and fishermen in the ancient times. His symbolic animal is the dove. Goddess of Rice & Fertility and also called as the “Goddess of Everything Important in Japan”. She is said to bring worldly success and prosperity. Her symbolic animals are foxes. It is said that because of her, Japanese people have high reverence on foxes. She is mostly worshiped by sword smiths and merchants in the ancient times. Izanagi is the God of Creation & Life and also called as the “Forefather of all the gods”. Izanami is the Goddess of Creation & Death. Both of them is said to have created Japan with a jeweled spear, and every drop of water from that spear gives birth to the islands. A fight between the couple is said to be the cause of separation between life and death. God of Fire. He is the son of Izanagi and Izanami. His birth was the cause of Izanami’s death. After being beheaded by his father for his mother’s death, his blood from his father’s sword became the fire that turned to volcanoes. He is highly revered by blacksmiths and ceramic workers. Raijin is the God of Thunder & Lightning which is seen to be a powerful spirit holding hammers. Fujin is the God of Wind which is depicted to be a fearsome spirit holding a bag of wind. These two are said to be very overwhelming gods that cause massive typhoons and storms. They are always seen together in ancient times. God of the Water & Storms and also called as the “Trickster God”. He was born when Izanagi washed his nose from the dirt of the underworld. He is said to hold a competitive spirit against his sister, Amaterasu, the goddess of Sun. After wrecking chaos in Amaterasu’s land and causing her to hide the sun out of depression, he was banished from the heavens by his father. God of the Moon and the brother of Amaterasu & Susano-o. He was born when Izanagi washed his right eye from the dirt of the underworld. He is said to have killed Ume Mochi (Goddess of food) due to his dislike of her preparation of food. Because of this, Amaterasu hated him and has, therefore, never showed her face again to him. This is said to be the cause of separation between Sun & Moon, day and night. A guardian of children & travelers. He is a protector of born children and a defender of those unborn ones. According to myths, Jizo helps the stuck unborn children to cross the river of the afterlife by hiding them in his robe while he crosses. Jizo is also depicted as a guardian of lost travelers who help them ease any pain they feel. He is very famous throughout the ancient and modern times. wooah. this is a cool info. great job! another knowledge i gained from my favorite country. thanks for this info! 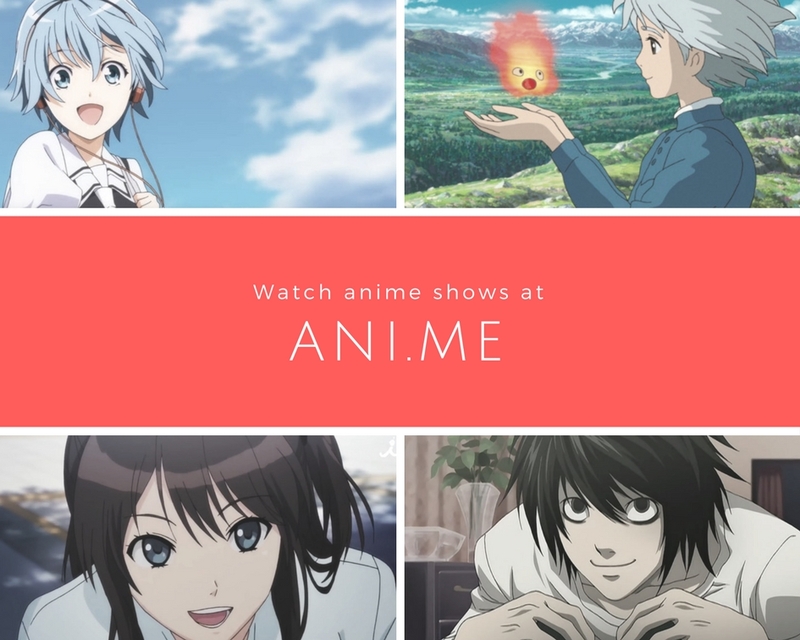 Get your anime fix on Ani.me, the easiest-to-remember streaming site.